Jaguar Land Rover was presented with the ‘Best Use of Print within a Multi-Media Campaign’ for the ICON book at the CMA International Content Marketing Awards this week. The International Content Marketing Awards have been celebrating work in the industry for the last five years, and this year, they received over 400 global entries and included work from over 260 brands and businesses. 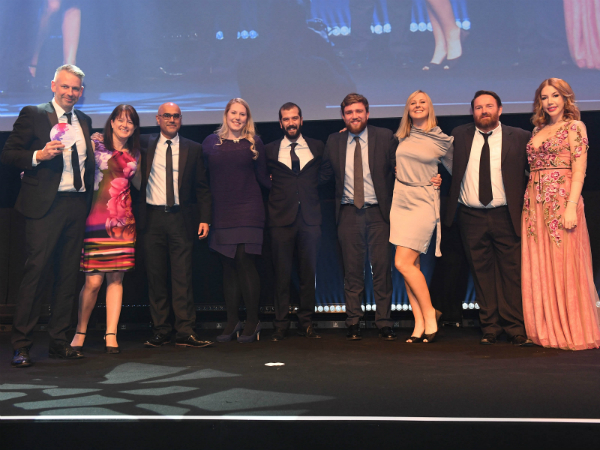 Jaguar Land Rover was shortlisted for three awards alongside Foxtrot Papa, the agency who submitted the book which eventually beat eight strong competitors to take top prize. ICON is the definitive official Land Rover book celebrating the life of Series and Defender models. The book stretches over 10 chapters and more than 200 pages and captures the essence of the Series and Defender models through the vehicles themselves and the people who have loved, driven and relied upon them over the last 69 years. The event took place at the Camden Roundhouse in London and was hosted by comedian, Katherine Ryan (pictured right). You can buy the ICON book by clicking here. Check your emails for an employee discount code from Jaguar Land Rover Branded Goods, available until 1 December.